Public transport is very well developed in Catalonia Many towns around Barcelona can be reached by the local trains (Rodalies) of RENFE, places with no train station can be reached by bus. The most convenient ticket for you to buy is the T-Jove, a personalised travel card valid for an unlimited number of journeys in 90 consecutive days from the first validation for people under 25. You will find further information in this link. Railway lines are owned by Renfe and Ferrocarrils de la Generalitat de Catalunya (FGC). 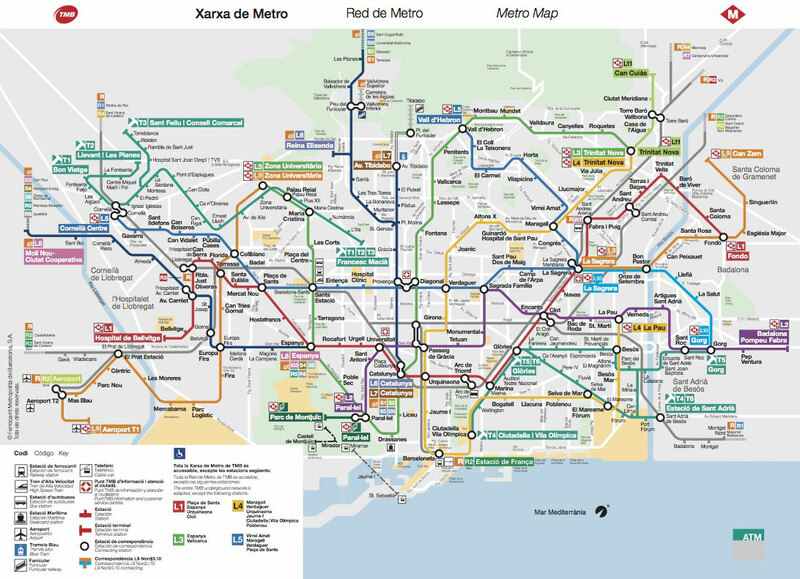 Rodalies is the network serving the Barcelona metropolitan area and it is operated by Renfe and FGC. Mitjana distancia or Media distancia is the network that goes all around of the four Catalan provinces (Barcelona, Tarragona, Lleida and Girona) and some of them go as well to Zaragoza, Castelló de la Plana and Valencia. The main train station in Barcelona city is called Estació de Sants, but the most central ones are Plaça de Catalunya (most local and regional trains) and Passeig de Gràcia (serving some local and most long-distance lines). 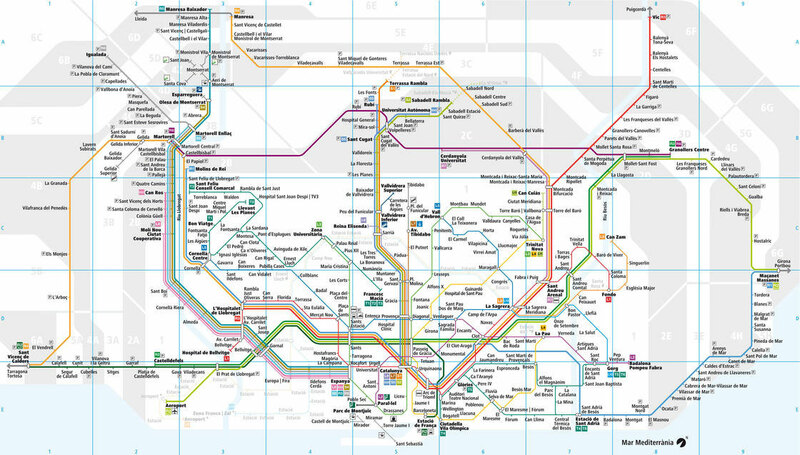 Barcelona is very well connected by train with Madrid, Valencia (City), Zaragoza and the Basque Country in particular and with the whole country in general. The routes inside Catalonia are held by different companies, which leave from different places. Every town has normally only one company, so you should ask at some information point, or check online. 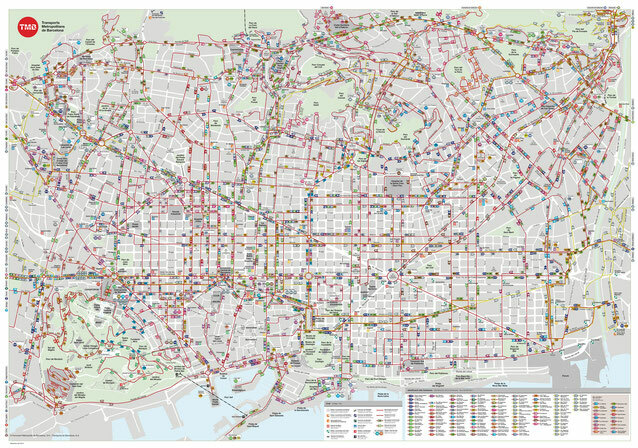 Buses in Barcelona city are a major form of public transport in Barcelona, with an extensive local and interurban bus network. There is also a network of night buses called Nitbus and it is being set up a bus rapid transit system called RetBus, which is intended to complement the current local bus network. 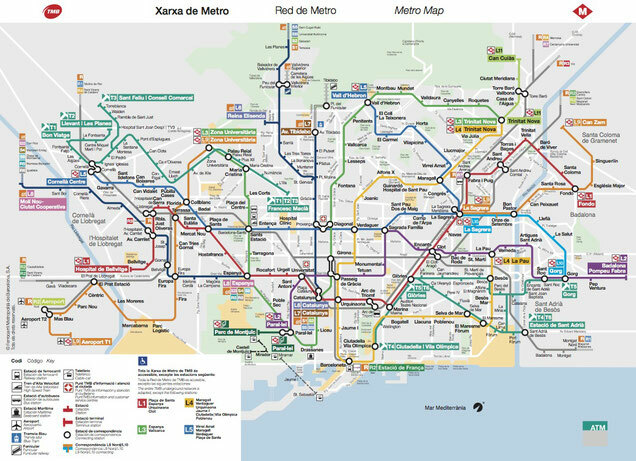 In Barcelona there are currently 11 working lines but the network is being expanded with the introduction of a double metro line which will be the longest in continental Europe: L9/L10. Trambaix and Trambesòs have three routes each.